Smart Geiger is a sub-miniature sensor of cheap price which can detect radioactivity easily and conveniently by connecting to the earphone jack of a smart phone. It indicated radiation coming out from a radioactive substance in dose-rate figure (uSv/h) and informs even by sound, using semiconductor sensor. The measurement error is approx. within 30% because there are many different kinds of smart-phones in the market. 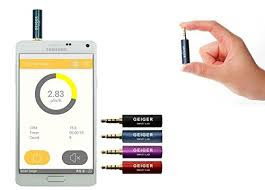 Therefore, you may leave the exact measurement of radiation dose to experts, and you can carry out preliminary simple measurement by inserting Smart Geiger into the smart-phone. Smart Geiger is manufactured by R&D specialized company, FT Lab with a sense of mission, which has obtained 3 New Technology Certifications during the last 14 years of its R&D career. It is tiny, beautifully designed with Aluminum body Semiconductor Sensor that connects to your Smartphone to measure, collect and analyze Gamma and X-Ray. The unit is fully powered by the Device ( Smartphone / Tablet ) , No battery or charger needed. The Smart Geiger is fully compatible with iOS and Android 4.2 above. 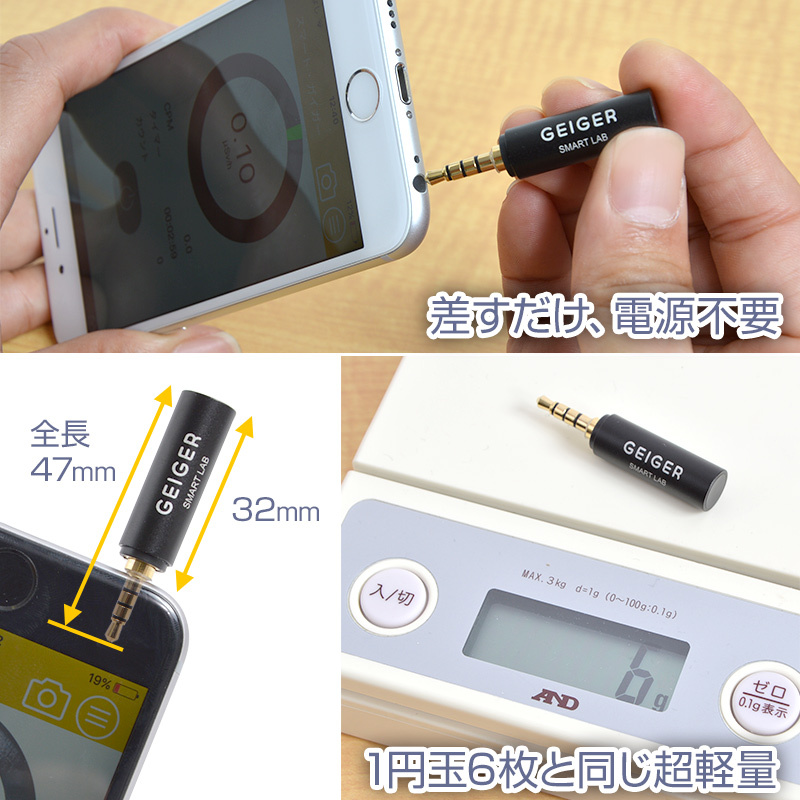 The apllication can be downloaded from the App Store / Google Play by searching "smart geiger" or "FTLAB"
Smart Geiger counter cannot measure the backgroud radiation, only check those subject that contains radiation. Pls buy our Geiger Pro if you want to check the background radiation. 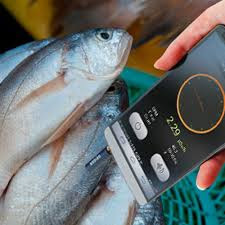 -Measurement Error <30%( 0.1 ~ 200uSv/h) depends on the Smartphone Model, and the data gets by no brand smart phone may not as accurate as brand phone, some may cannot work because of the quality. Androind should be 4.2 above and earphone output 2.0V above. -Xiaomi, Sony, old Huawei is not compatible with this item. -Due to the misopration or phone's problem, may lead the item does't work, pls contact the sales before leaving bad comments. *Please contact the service people if it does not work or before you leave any bad comments. Your kindly support is highly appreciate! Steady dose rates below 0.1 µSv/h are difficult to measure. ICRP recommended maximum for external irradiation of the human body, excluding medical and occupational exposures. Natural radiation on a monazite beach near Guarapari, Brazil. Immediate predicted activation of reactor wall in possible future fusion reactors. After 100 years of decay, typical levels would be 2–20 mSv/h. After approximately 300 years of decay the fusion waste would produce the same dose rate as exposure to coal ash, with the volume of fusion waste naturally being orders of magnitude less than from coal ash. Opastus ja neuvontapuhelin: 041 - 492 6015 avoinna 24/7.